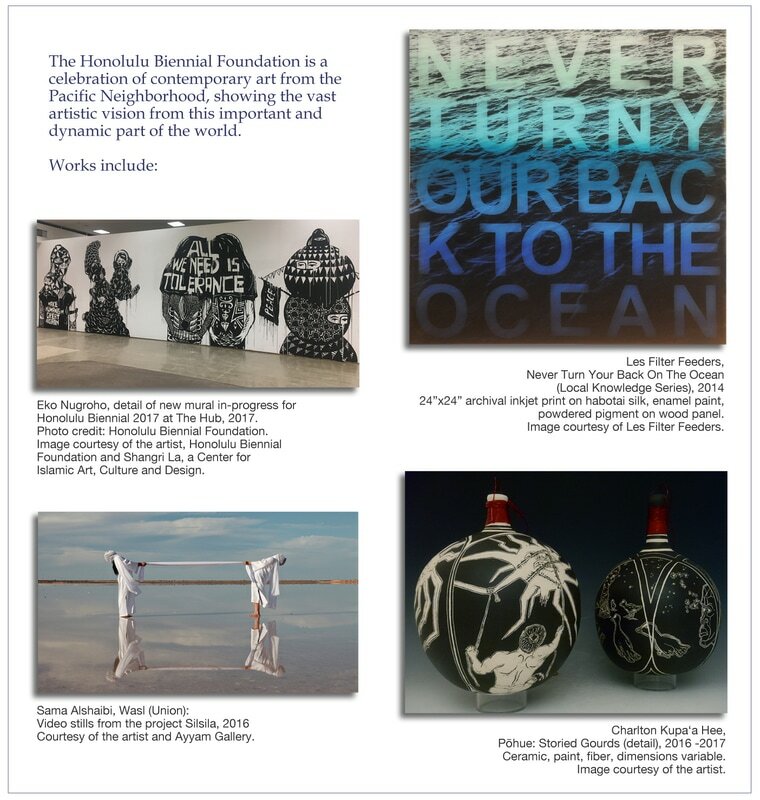 The Honolulu Biennial Foundation (HBF) is a celebration of contemporary art from the Pacific Neighborhood, showing the vast artistic vision from this important and dynamic part of the world. Isabella Ellaheh Hughes, co-founder and director of Honolulu Biennial, envisioned HBF partly because Hawai‘i, with a population of more than 1.4 million, does not have a single museum dedicated to contemporary art. Isabella was born and raised in Hawai‘i and currently lives in Honolulu. Her roots in the islands go back to her paternal great-grandfather. Her mother, a first generation immigrant from Iran, has lived in Hawai‘i since the 1970’s. In 2011, Isabella curated the first exhibition on contemporary Native Hawai‘ian art, “This is Hawai‘i,” at the Smithsonian National Museum of the American Indian (NMAI) and the Transformer in Washington D.C. She recalls observing and listening to visitors who walked into the gallery at the NMAI location, often saying, "Whereʻs the Hawai‘ian art?" Isabella explains: “They were expecting sunsets, beach scenes, hula girls. The hyper-mass-marketed image of Hawai‘i through the colonial gaze plays a large role in the problematic understanding of Hawai‘i.” At the same time, she began to travel more for her work as a curator and art critic, and was often asked by colleagues in the art field, "Is there a contemporary art scene in Hawai‘i?" Isabella found this frustrating, because there are tremendously talented artists in Hawai‘i who are not being recognized. She began to look at cities around the world who have successfully positioned themselves as leading centers for arts and culture, focusing on their use of contemporary art biennials to do this. In 2014, after a few years of research, Isabella, Dr. KJ Baysa and Katherine Ann Leilani Tuider launched the Honolulu Biennial Foundation. In Spring 2017, The Honolulu Biennial Foundation will highlight local, often under-recognized, Hawai‘ian artists, alongside talent from the Pacific Islands, Asia, North America, Australia and New Zealand. HBF supports cultural diplomacy and exchange with the Honolulu Biennial along with complementing events during their two-month run from March 8 - May 8, 2017. Thankfully, this is not simply a one-time event. HBF works throughout the year to serve the local Hawai‘ian community through educational outreach programs, emphasizing access to art for Hawai‘i’s youth, along with exhibitions and professional development opportunities for the local arts community. Isabella and her co-founders feel it is incredibly important to make art accessible and free to all our youth. Isabella explains: “One of the biggest challenges schools have, especially public, charter, and struggling parochial schools, is the funding to partake in field trips. We’re very fortunate that through the generous support of the Taiji and Naoko Terasaki Family Foundation, we’re able to offer free transportation, tours, and a workshop to Oahu's students during Honolulu Biennial.” Many of their nine exhibition sites are 100% free admission, and The Hub, the central Biennial location, is free to visitors under 18. They have also created an educational workbook to give out to young visitors and offer free tours–specifically for children and teens–which utilize the query-based, interactive Visual Thinking Strategies method, rather than a standard passive tour. Isabella is often seen with her two young children in tow at art exhibits and museums. 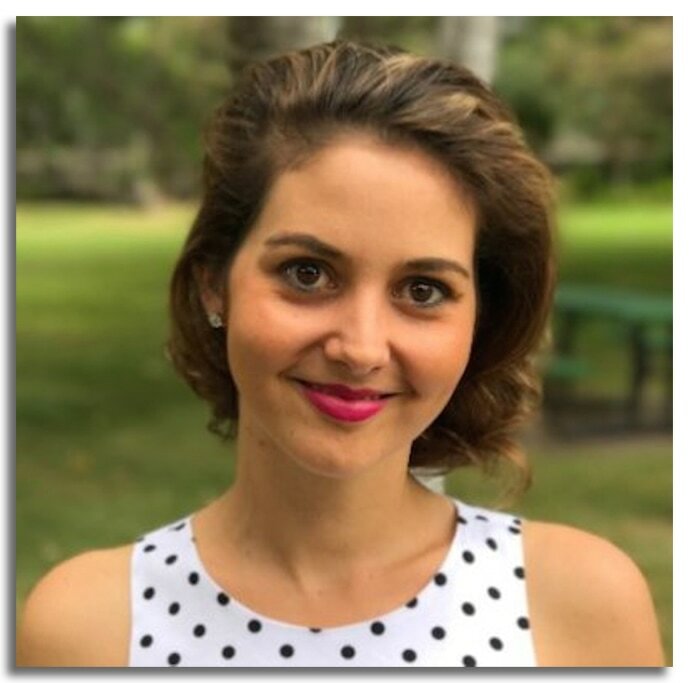 In addition to co-founding HBF, Isabella is the co-founder of Shaka Tea. Unlike many Hawai‘ian products, which are Hawai‘ian in name only, Shaka Tea is made from mamaki, a plant that only grows on these islands. She describes it as an “anti-oxidant powerhouse” that has been consumed for centuries by the native Hawai‘ian communities. Isabella is incapable of thinking small. She incorporates her belief in bringing art and opportunities to the people of Hawai‘i in each project she undertakes. Honolulu Biennial Foundation and Shaka Tea are just the beginning. Read more about Honolulu Biennial Foundation and Shaka Tea.